The softball season has started and this year I’m hoping to be an occasional player on the Millward Brown London team. Millward Brown play in Division 4 of the LASL (more info Here). After winning our first match against MTV, we are currently 5th in the division. We play the team from Facebook book. I’ll let you know if their players Poke us a lot around the field. 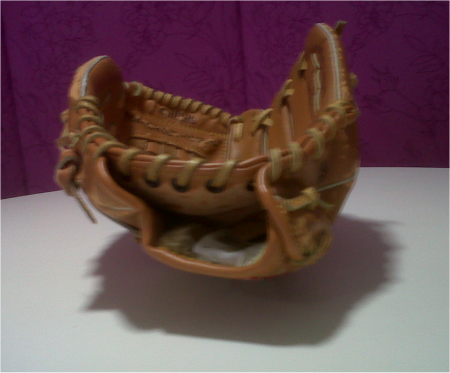 I’ve had the same baseball glove since 1999. I’ll give it one more season before it falls to pieces.